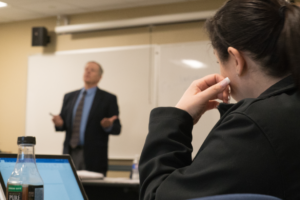 SPS courses are delivered by our full-time faculty along with a dedicated part-time faculty comprised of practitioners in the areas of business, healthcare, law, education and more. In addition to bringing experience and current perspectives to our students, our adjuncts all hold advanced degrees, with over 26% holding terminal degrees. Read more about our distinguished adjuncts here.